Sensory messaging devices, stress-reducing headpieces, biometric authentication bands and more — these cutting-edge wearables could soon be coming to your campus. From the Apple Watch to the plethora of activity trackers such as Fitbit, wearable technology is becoming more common — and companies are creating a steady stream of new devices that we can wear on our eyes, head, wrist and body to communicate, consume and compute. Here are seven cutting-edge wearable technologies and some of their potential applications in and out of the classroom. 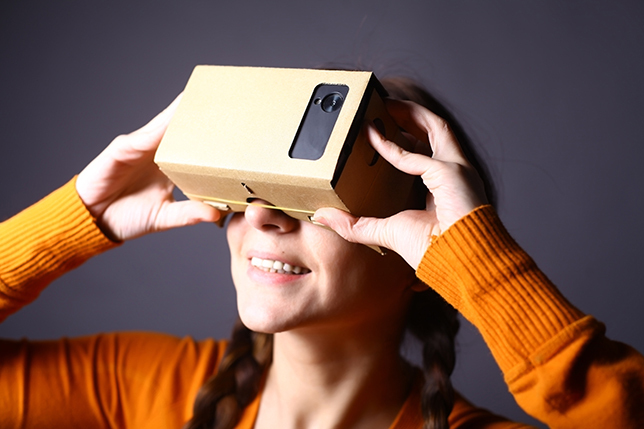 Google Cardboard is an inexpensive virtual reality system. As the name suggests, the headsets are made out of cardboard that can be folded with a smartphone and special lenses inside. The wearer looks through the lenses to a three-dimensional image or YouTube 360 video in the Google Cardboard app on the smartphone. The advantage of Google Cardboard over other VR systems is that it's inexpensive. Units are available for $10 to $20 each. It also leverages technology many people already own: a smartphone. Emory Craig, director of e-learning and instructional technologies at The College of New Rochelle in New York, sees the simplicity of creating virtual experiences as another major advantage of Cardboard in the cash-strapped world of education. "I could see students in higher education making use of this because it's becoming easier and easier to create 360-degree environments through apps on your smartphone," he said. Microsoft HoloLens is an augmented reality system. As with Google Cardboard, users wear a headset, but in this case the headset costs more than $20 and doesn't immerse the viewer in a virtual environment. Rather, users can overlay virtual images or videos onto real objects around them. "The idea is to map these digital components to the face-to-face physical environment," said Bryan Alexander, a researcher in the field of education technology and a senior fellow with the New Media Consortium. "People have been doing augmented reality for 20 years now, but this is one of the most advanced and ambitious forms of it that anyone has ever done." Augmented reality technology like Microsoft HoloLens could be implemented in classes such as automotive mechanics or medicine, where a vehicle schematic or anatomical reference is virtually projected onto a vehicle or person. "A colleague of mine is looking at it from a healthcare and nursing education perspective," said Craig. "Something like this is just incredible for teaching anatomy, for helping students understand the human body. The idea of having a 360-degree holographic image in front of you that you can actually manipulate has just tremendous potential." Another wearable technology from Google, Project Jacquard is a fabric woven on traditional industrial looms, but it weaves thin, metallic alloys together with natural or synthetic yarns. The result is clothing or furniture with built-in computing capabilities. Craig considers Project Jacquard a game changer in wearable technology. While most other clothing technology uses embedded sensors, Project Jacquard fabric enables clothing to become a computing interface. 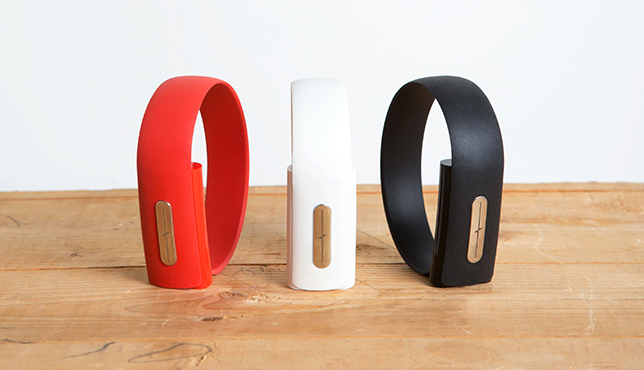 "I think it could give us a whole new definition of what we mean by wearable. It's now going to become our whole outfit," he said. Just as 3D printers have opened up a whole new world of creative possibilities for students, faculty and the general public, Project Jacquard is potentially transformative in the fields of new media studies, fashion design, theater and art, said Alexander. Consequently, he thinks it has the potential to attract more students to the fields of engineering and technology. "I would love to be able to give Project Jacquard projects to fifth-grade girls and say, 'hey, try this out,' and wouldn't it be interesting if they grabbed on to that and said, 'yeah, I want to learn more about computing or robotics or hardware,'" said Alexander. Thync is a device that stimulates nerves on the wearer's head and face using low-level electrical pulses. The device is designed to soothe or stimulate neural pathways as a way of helping people calm down when they're stressed or boost their energy when they're feeling lethargic. There are other wearable calming devices and meditation assistants available on the market, but Craig is intrigued by Thync in particular "because it's not a passive device, it's an active device." While the device may exceed some students' budgets, it may appeal to them as a way of controlling their stress levels or as an alternative to caffeine or other stimulants when they're pushing the limits of their energy. "I can see people using it both ways, saying, 'I need to calm down or I just need to get energized because I need to do this and it's better than coffee,'" said Craig. The Nymi Band is a wearable security device that uses the wearer's electrocardiogram (ECG) as a biometric identifier for authentication. People could potentially use it to unlock doors, access their computer or make payments. As Alexander pointed out, passwords are fraught with problems, and biometric identification offers an alternative. "We all know passwords are a real nightmare. They don't work very well," he said. "So we have all of these other authentications to look at. We have eye authentication, we have voiceprint, so this would actually be unique. This would be like a thumbprint." While security is a huge issue and the Nymi Band may offer a viable solution, Craig wonders if the technology will eventually become integrated with other wearables. However, he sees the same problems with passwords as Alexander and thinks "biometric security is going to be the way to go." The Wove Band is another wrist-worn technology, but in this case the entire band is a digital display. It uses Polyera's Digital Fabric technology to create the flexible display. Despite the large display, the device boasts a low-power touch interface because it uses e-ink, the same technology used in many e-readers. According to the company, the Wove Band can be worn flat or wrapped around the wrist and the display is "both large and always on, while consuming less power than smartwatches." It is scheduled for release in 2016. Craig does think flexible and thin-film screens are the future, but he's not a fan of e-ink because it's black-and-white, not color. "They're on to something, but we're immersed in such a visual culture these days," he said. "We want to see full-color displays." 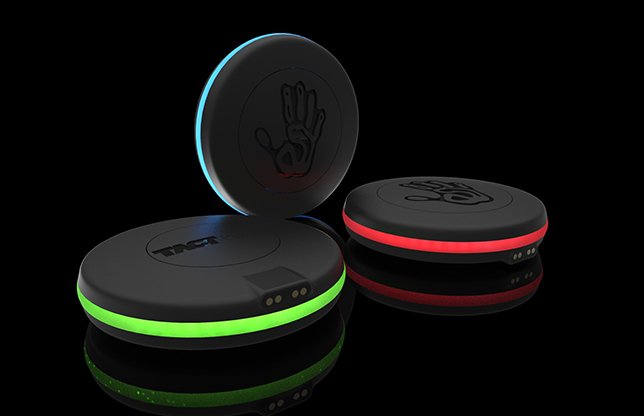 TACTspace is a sensory messaging technology that pairs a smartphone app with a small disk called a TACTpuck to communicate simple messages through light, sound or vibrations. Currently in the funding phase, the company is suggesting the technology as a discreet alternative to texting. People can wear the TACTpuck against their skin in their clothing, jewelry or other accessories to see, hear or feel simple messages. Alexander thinks the technology could appeal to kids and young adults in particular. "Minors want to have ways to communicate with each other for their own self-expression and as they get older they want them to be more and more their own space," he said. Still, Craig wonders if the technology could eventually become integrated with other wearables. "We're on social media all the time, just tossing words at one another, and so tactile messaging is interesting, but could that be folded into a watch or a band down the road?" Just as colleges and universities have grappled with the influx of mobile technologies, they must now prepare for a growing number of wearable technologies being brought onto campus by students and faculty for both personal and pedagogical purposes. And, as with laptops, tablets and smartphones, these wearable technologies will bring with them issues of "security, privacy and e-waste," said Alexander. "I think there will be some training issues, too, where you have to wonder to what extent campus becomes responsible for helping people support these tools." Craig sees the potential for wearable technology to create a whole new set of experiences in education. "Many of the devices will leverage the technology in phones, but it's going to be fundamentally different," he said. "And I think in higher ed, we need to monitor the developments, we need to take the lead in this, because it's going to have a huge impact on the teaching and learning environment."